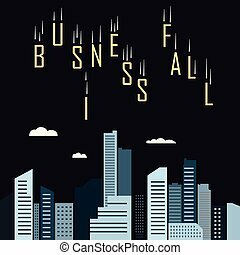 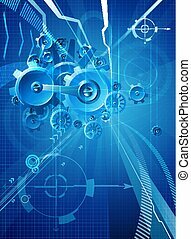 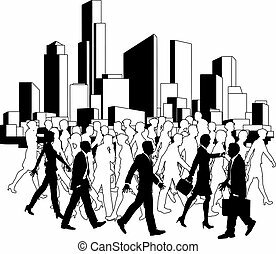 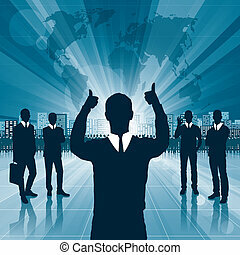 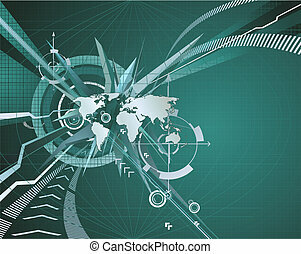 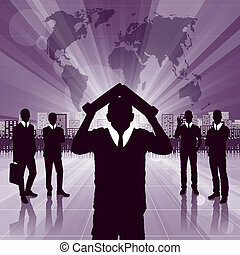 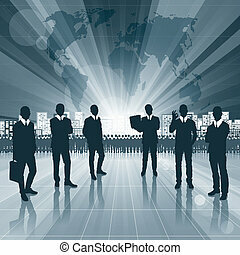 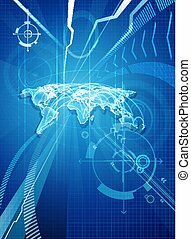 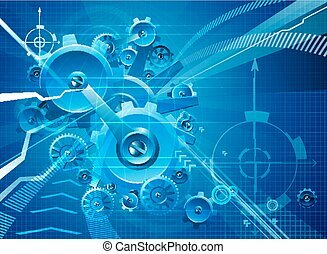 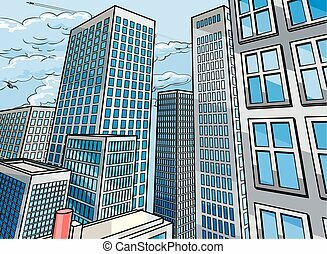 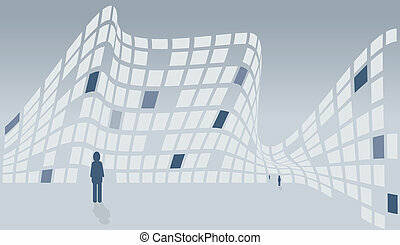 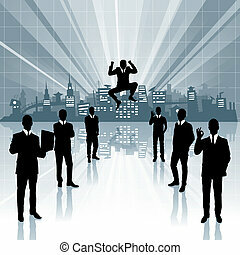 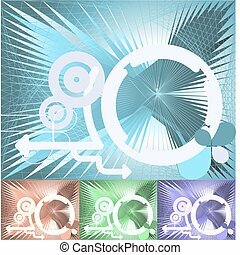 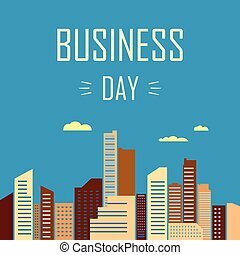 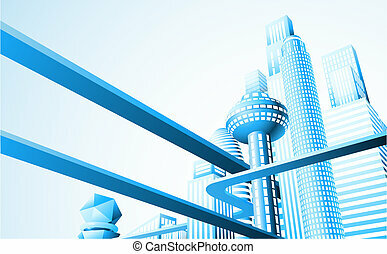 Conceptual city business background. 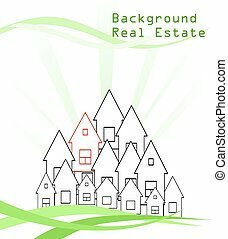 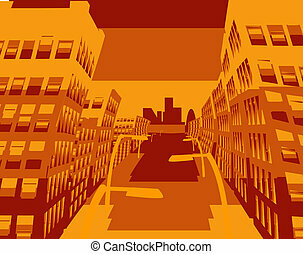 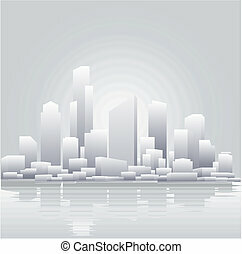 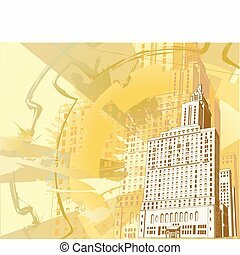 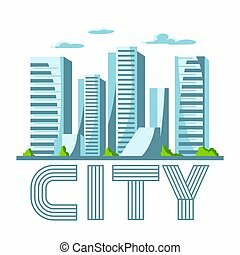 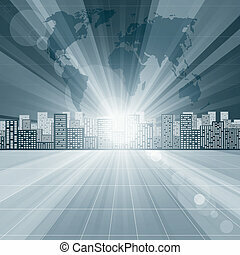 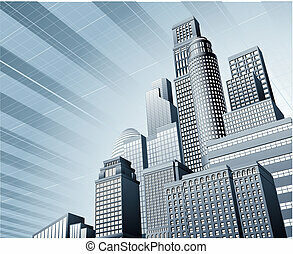 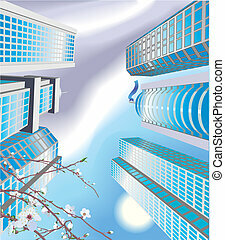 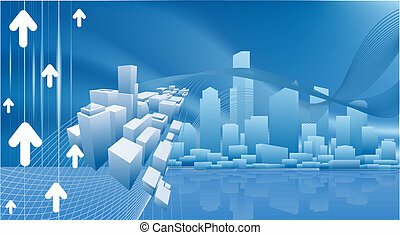 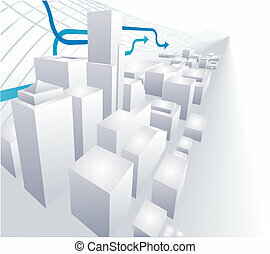 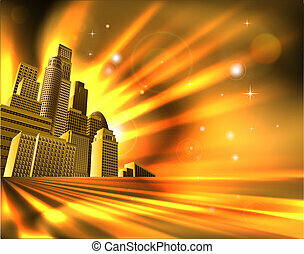 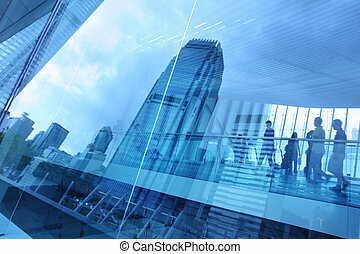 a conceptual city business background with urban cityscape. 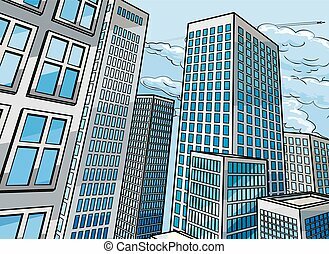 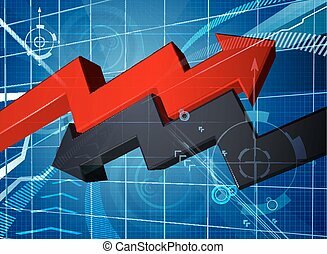 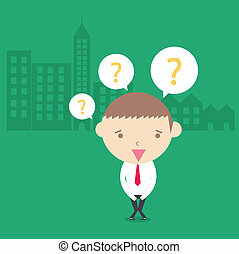 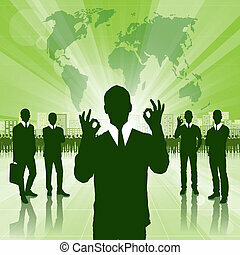 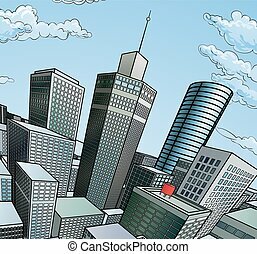 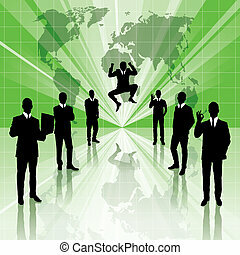 Businessman confuse in city building green background. 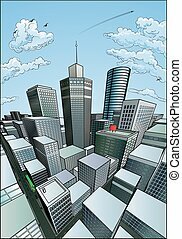 conceptual cartoon drawing. 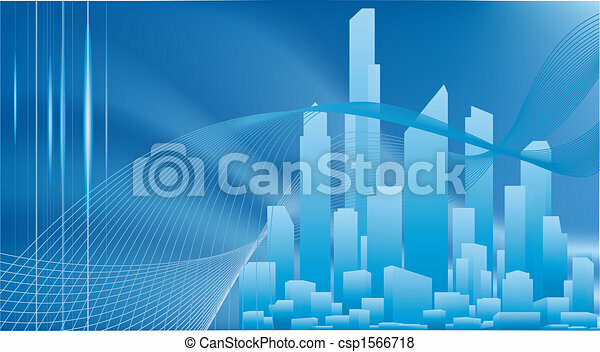 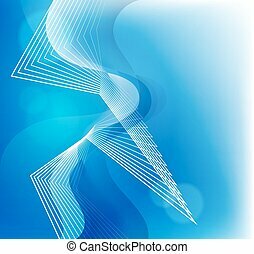 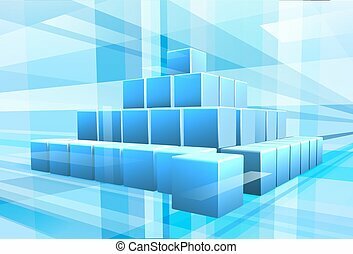 City skyscrapers background in blue colors. 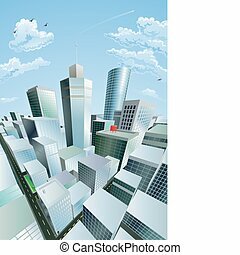 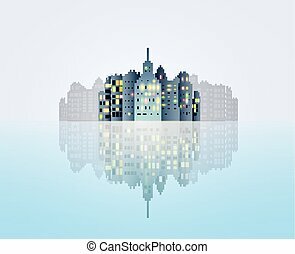 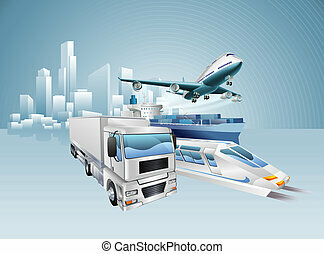 Cityscape conceptual illustration for construction and tourism business. 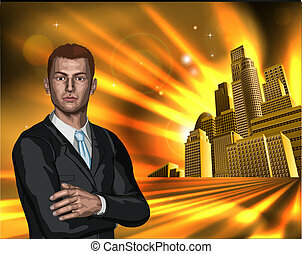 A young business man in a suit with city office blocks in the background.